Fluoride Rinses: Do You Need Them? Oral Hygiene • Comments Off on Fluoride Rinses: Do You Need Them? Are fluoride rinses right for you? 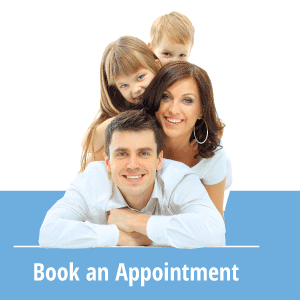 Ask your Sherwood Dental dentist. If you have root sensitivity or you are at a higher risk for developing tooth decay, then fluoride rinses might be just the product for you. They are an oral hygiene product designed to help prevent tooth decay. This product makes tooth surfaces harder and less susceptible to decay. They are not mouth washes. Mouth washes may contain only a very small amount of fluoride. Genuine fluoride rinses are labeled as such or anti-cavity rinses. Most brands are available over the counter without prescription. Get a Complete List of CDA Recognized Products. Who needs to use a fluoride rinse? Are they safe for children to use? Their use has been studied over 50 years. The results show that children using fluoride rinses experienced reductions in dental decay compared to children who used fluoride toothpastes only. They are not recommended for children who are 6-years-old or younger, however, because they may swallow the rinse. Talk with your Sherwood Dental dentist before allowing your young children to use a fluoride rinse. When is it best to use a fluoride rinse during the day? After brushing and flossing, tooth enamel and exposed root surfaces are clean and ready for the fluoride in the rinse to penetrate sufficiently. Since you should not drink or eat for a minimum of 30 to 60 minutes after using fluoride rinses, rinsing just before bedtime is ideal. Rinse for at least a full 60 seconds. Our office offers weekly and daily fluoride rinses and recommends the brand X-Pur Optirinse. X-Pur Optirinse is available for purchase here at Sherwood Dental. X-Pur mints and gums are also available as an aid to help with dry mouth. If you have any questions about fluoride rinses or other oral hygiene concerns, please contact Sherwood Dental at (780) 464-4166 today.